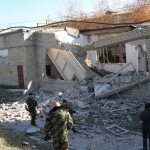 Yesterday pro-Russian terrorists from LPR (Lugansk People Republic) were shelling at several cities in Lugansk Region. 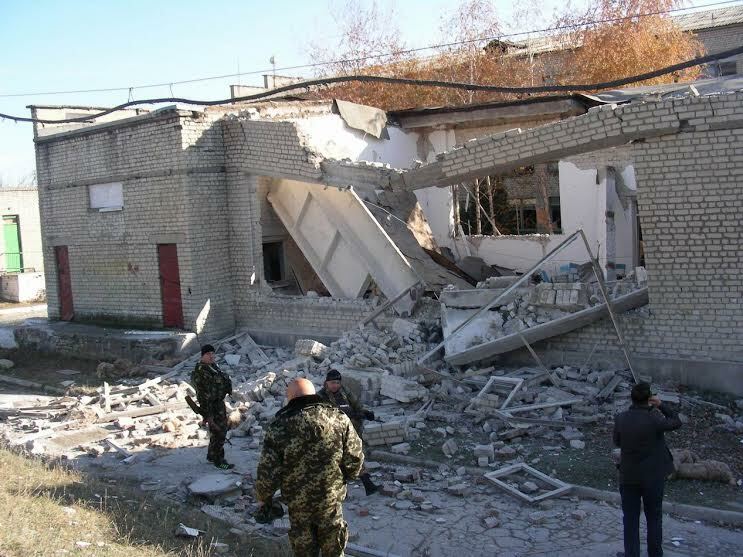 Few rockets from GRAD (multiple rocket launcher system) hit a school in Toshkivka village. The gym and dining room in the school were totally destroyed. Children finished their classes and left the school just half an hour before the shelling started, so nobody got wounded or killed. Today the head of Lugansk Regional State Administration personally came to Toshkivka to decide what to do with education for kids. 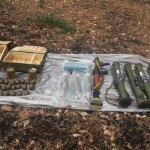 Terrorists continued shelling from the direction of Kirovsk controlled by LPR. The Governor Henadii Moskal said that it was not possible to rebuild destroyed part of the school, so children will continue to study at another school located on the other side of the village, so need to find a school bus to transport children. 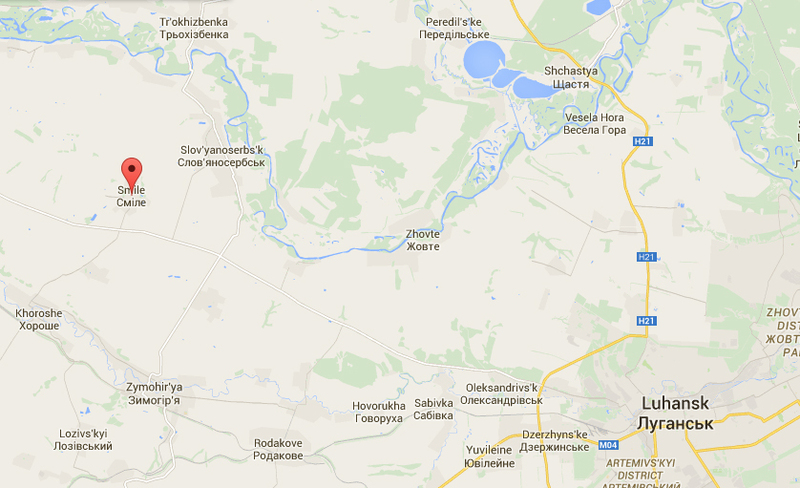 But right now both schools are closed because of the shelling of Toshkivka suburbs. 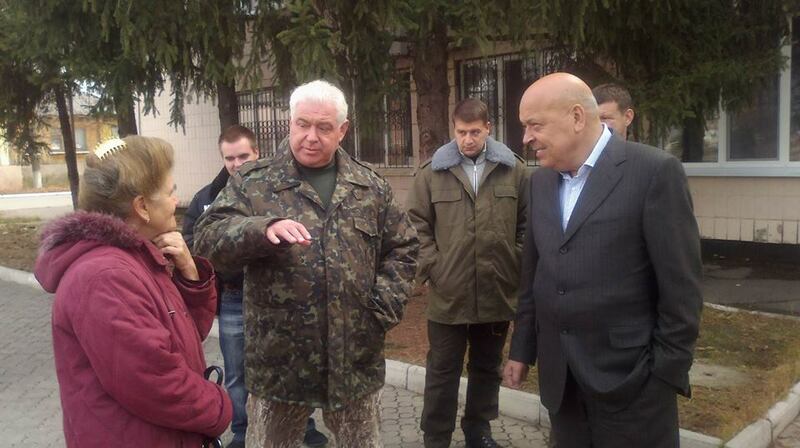 Moskal said that the situation is very difficult now as while they fix damaged buildings, terrorist ruin much more. 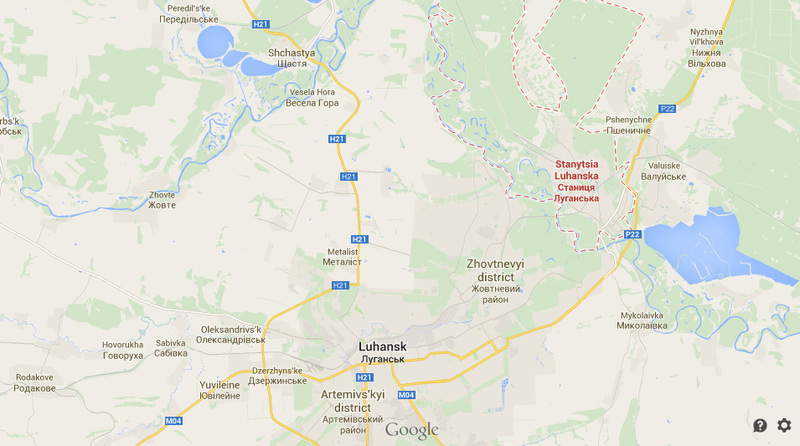 Today at 9 am pro-Russian terrorists started shelling at Stanytsia Luhanska using mortars, artillery and heavy machine guns. One of the shells exploded 300 meters from city administration building, one garage was destroyed and residential buildings were damaged. City administration and other government institution had to stop their work and sent the staff home. 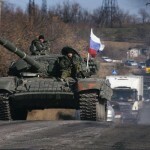 The Governor of Lugansk Region Henadii Moskal said that the terrorists started shelling the city after Ukrainian government managed to restore the power, water and heating supply to the city, bank system and government institution started to work, the city got new head of administration. Unfortunately the situation is like this, government spends 1 000 UAH to restore ruined areas and terrorists start shelling again making the damage for a million. 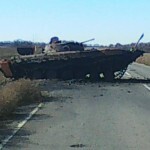 The area of Stanytsia Luhanska is unprotected against terrorists attacks, the distance between the city and terrorists positions is about 1.5 km. 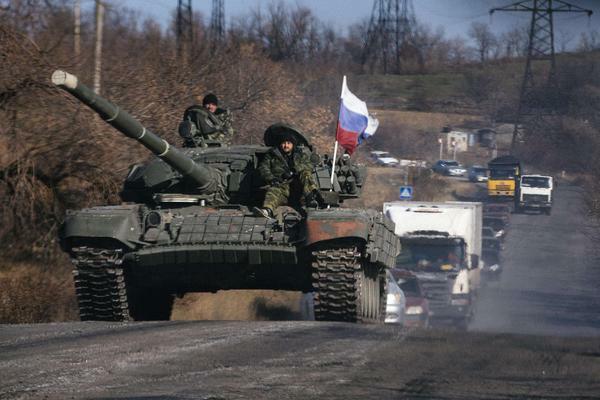 Locals report that terrorists bring more armored vehicles and infantry. Lugansk Regional State Administration says thanks to the Minister of Infrastructure Maksym Bubrak and to the management of “Ukrzaliznytsia” (Ukrainian Railways Company) and also to “Donbasenergo” and to “Lugansk Energy Union” for their great job that made it possible to restore power at Chornukhyne. The Governor of Lugansk Region said that 6500 people of Chornukhyne and also Maximum Security Prison with 1000 prisoners were out of power all this time. During military actions power lines were damaged, so the water supply and heating systems couldn’t work as well. It was not possible to charge a cell phone, check the news or keep food in the fridge. The power line to Chornukhyne goes through the territory occupied by terrorist group of LPR (so-called Lugansk People Republic) and terrorists refused to let the workers from the power company to fix the line and even were shooting at them few times. 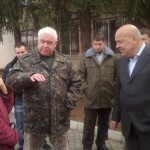 So the Governor of Lugansk Region H.Moskal asked the Minister of Infrastructure of Ukraine to connect the village to the power line that goes to Railway Station at Chornukhyne that doesn’t work right now because of military actions. 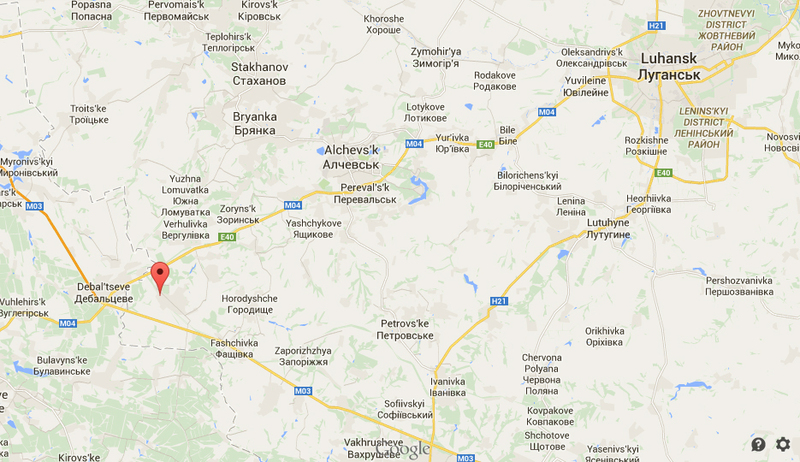 So “Ukrzaliznytsia” (Ukrainian Railways Company) gave that station to “Lugansk Energy Union” company. Damaged power line was fixed, Ukrainian military and police units provided the security for the workers and “Donbasenergo” started to supply power to the village via that line. Yesterday electricity was restored everywhere in the village, all people got power, water and heating. After living two months of out of power people didn’t believe that they will have electricity in winter and when they finally got the lights in their houses, many of them were crying. 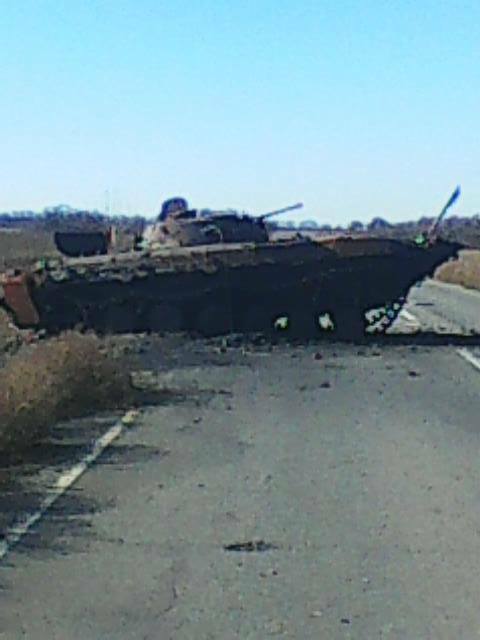 Yesterday late at night Ukrainian Army units with a little over 100 soldiers left the check-point #32 near Smile village. 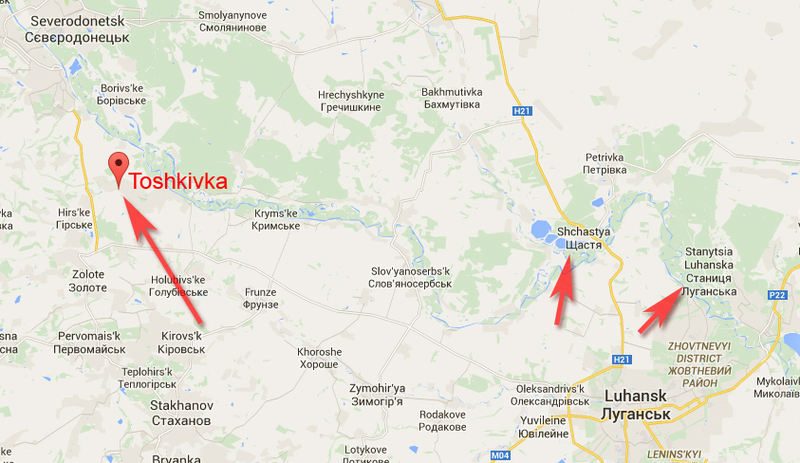 This check-point was surrounded by pro-Russian terrorists and regular Russian Army units. OSCE observers mentioned that in their report on October 13 (read more here), but the truth is that check-point was surrounded since September 5 and it had been under heavy fire until October 27. Soldiers had no supply for 2 weeks and run out of water and only 3 days ago check-points commanders made a deal with terrorists to let them send the truck with water and warm clothes, previous attempts to deliver support failed and convoy was eliminated by terrorists. 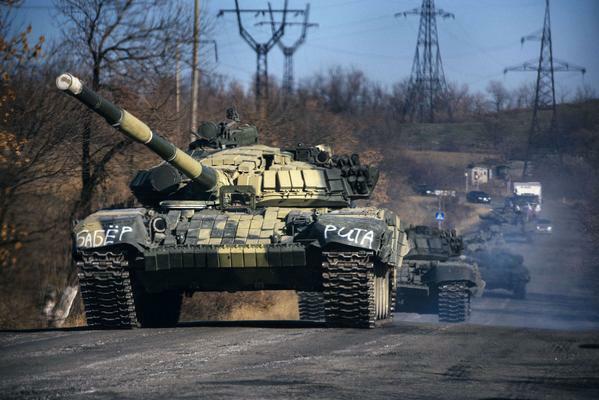 Terrorist made ultimatum to leave the check-point or they will crash it, at this time Ukrainian soldiers had almost no ammunition left and from terrorists side there were about 22-26 tanks, at least 3 multiple rocket launchers, mortars and heavily armed infantry units. 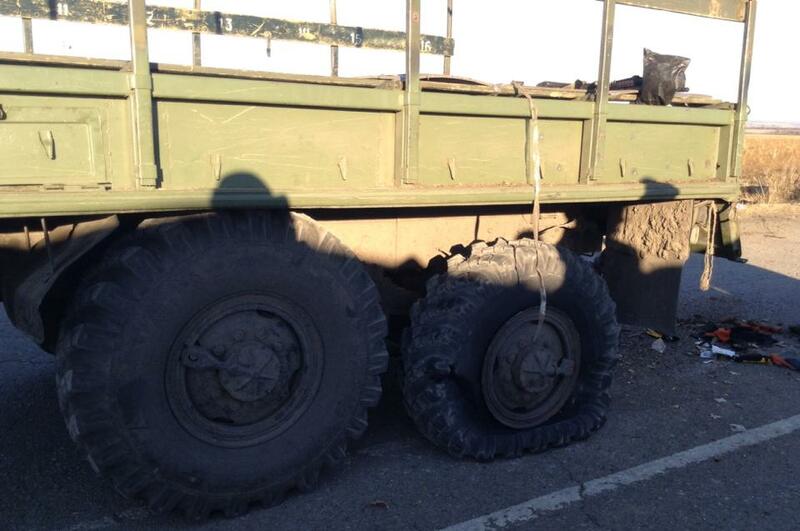 Ukrainian Army made a decision to leave the check-point #32 and all 110 soldiers who were there left. 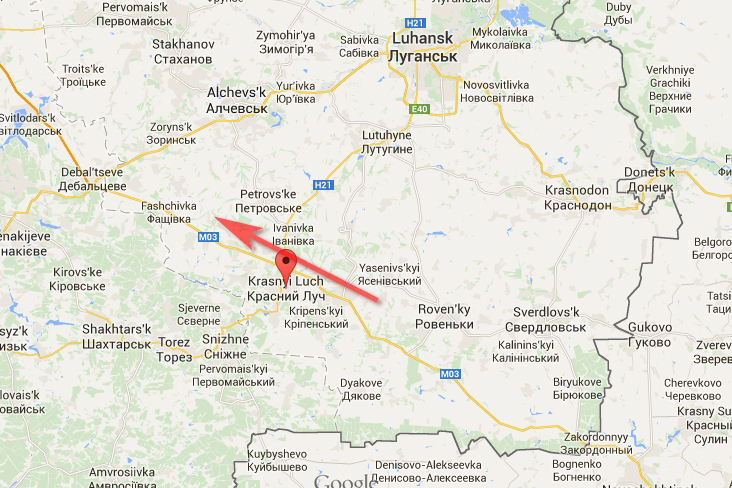 Yesterday soldiers delivered bodies from check-point #32 to check-point #31 which is 10 km away. 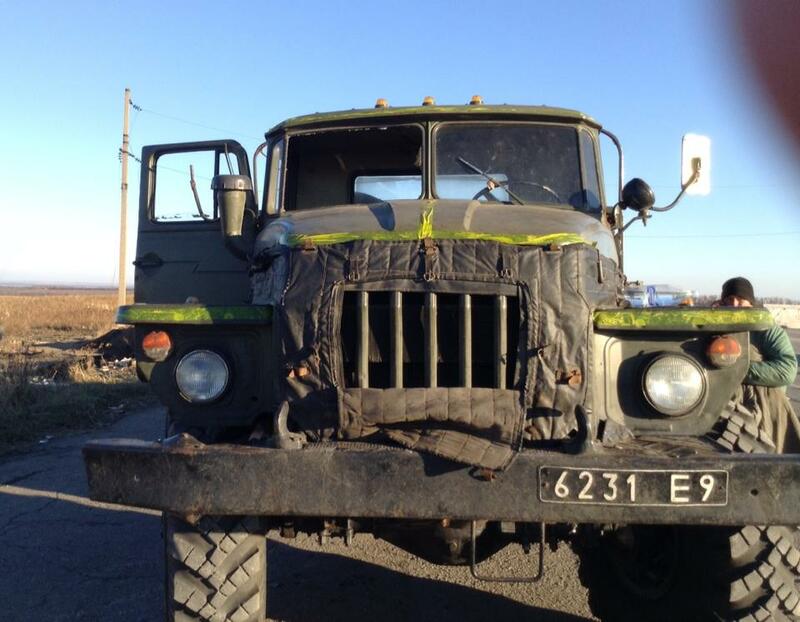 Those were 8 Ukrainian soldiers killed on the road of death trying to deliver supply to #32, their bodies were in the burnt armored vehicles and along the road, some of them for 2 weeks. After delivering the bodies the truck went back to check-point #32. Soldiers were saying goodbye to their friends and as they didn’t think they would ever see them again. At that time they already had ultimatum from terrorists to leave their positions, but there were no orders from commanders. They were going to die holding their check-point. 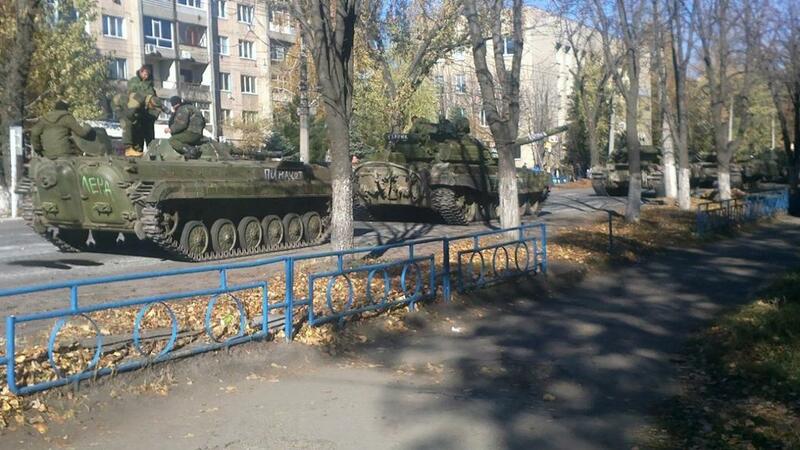 Part of Lugansk Region is still occupied by pro-Russian terrorists and regular Russian Army. So people there couldn’t take part in Parliament elections today. 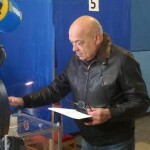 Other people living in the liberated areas could vote. But still a lot of them were afraid and the number of those who used their right to vote is not very high. Central Election Commission reports that only about 32.94% of people in liberated cities came to vote. You can read the report at Central Election Commission website here. 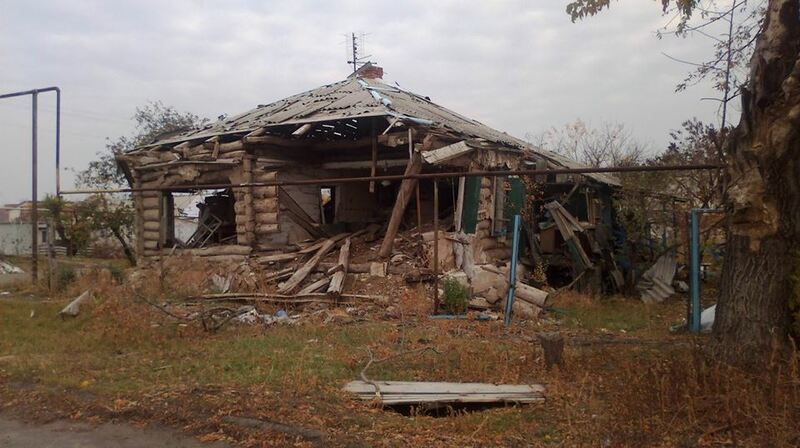 Some cites like Stanitsya Luhanska have been shelled by terrorists yesterday and today, so even under Ukrainian authorities control it was not possible to provide enough security for those who wanted to take part in Parliament elections. And terrorists were also spreading rumors in the liberated areas that they were going to execute everybody taking part in elections, this way they were trying to scare local population and minimize the number of people coming for express their will. The highers number of people who came to vote in Ukraine was in Lviv Region, about 70% and in general for all Ukraine the number is not high, just a little over 52%. A lot of people who were forced to leave Lugansk as it was dangerous for them to stay there could vote at any other place of Ukraine. To do that they only needed to come to local authorities that manage Voters Registry, show passport and write application form. They had to do that before October 20. The process was very simple and only takes 10-15 minutes. But the statistics says that not so many refugees used their right to do that. 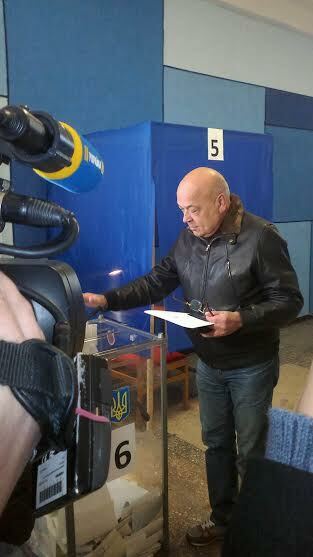 The Governor of Lugansk Region Henadii Moskal voted in Severodonetsk city at 9 am. This was reported at his website here You can read more about how people voted around Ukraine for different political parties at Parliament Elections in Ukraine. 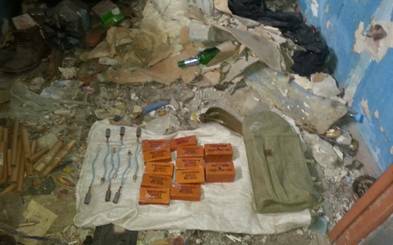 Security Service of Ukraine reported on October 21 that together with Ukrainian military they found a lot of weapon hidden by pro-Russian terrorists. 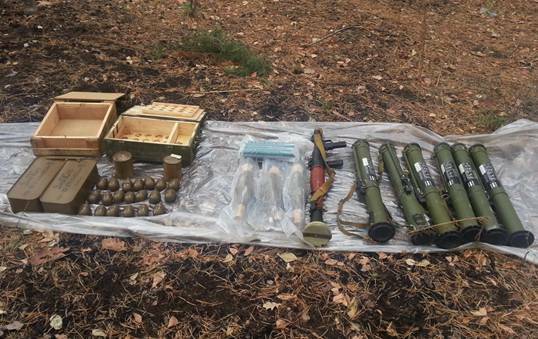 Terrorists planned to use ammo for attacks during Parliament elections on October 26 in Stanitsa Luhanska and Novoaidar, cities in Lugansk Region which are under Ukrainian control. 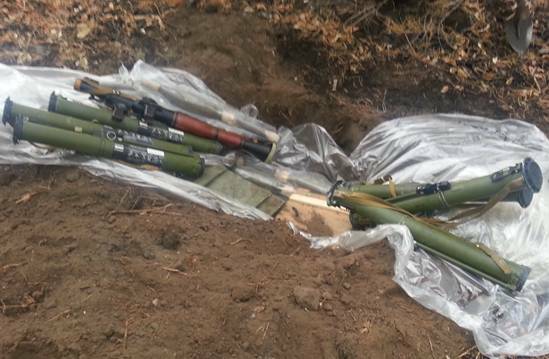 The weapon was found in a forest near the road close to Peredilske village. 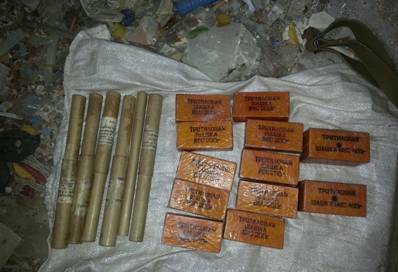 There were RPG-7, six RPG-26 portable grenade launchers, three cumulative anti-tank shells PG-7L, 20 grenades RPG-5 and about two thousands bullets for AK machine gun. 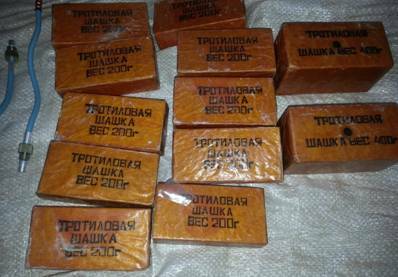 Saboteurs planned to use the weapon to attack buildings where elections were going to take place (mostly village schools), they planned to attack Ukrainian soldiers, police and armored vehicles who will be providing security for the public during elections. Now the Security Service are doing everything needed to found and arrest everybody who were part of sabotage group. 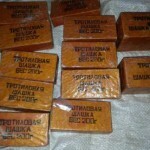 Ministry of Agrarian Policy and Food issued orders #408 and #409 on October 20 2014. 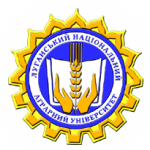 According to that Lugansk National Agrarian University will continue its work based on National Technical University of Agriculture in Kharkov city. Polytechnic College of Lugansk National Agrarian University will continue its work in Slavyansk where the university has its own College already. The Ministry provides information to professors and students of those universities and can answer all questions they have, including accommodation.